Happy Birthday, Curiosity. As NASA’s Curiosity celebrates its first year on Mars, the NASA rover continues to explore the Red Planet as it travels to Mount Sharp, the ancient crater near the Martian equator and site of Curiosity’s touch down on August 5, 2012. Mount Sharp, the central peak of Gale Crater, may hold the key to unlocking the planet’s geological past. Earlier this year, Curiosity accomplished the mission’s main scientific goal when the rover found evidence of an ancient wet environment with conditions favorable for microbial life in the Glenelg area of Gale Crater. As Curiosity continues to analyze rocks and dirt from the planet’s surface, scientists hope to gather more information to determine if Mars had once been an environment suitable for life. With more than 30,000 images beamed back to NASA researchers, Curiosity has concluded this to be a strong possibility. Though Curiosity does not have the instruments to search for life past or present, the rover is paving the way for future missions. NASA hopes to launch the future rover in 2020 and will include scientific instruments for analysis on the microscopic level. This rover will also collect and store samples for a possible return to Earth by a future mission. The popularity of the Curiosity rover has been huge as it engages more interest and support for space exploration. From an educational and collectibility standpoint, Sun Star has produced a 1:18 scale model of the Spirit/Opportunity Mars Rover complete with detailed body, camera and antenna, movable solar arrays and instrument deployment device. 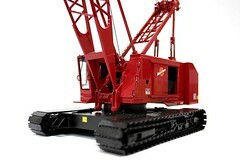 Visit MagellanModels.com for details or contact us directly at 1-800-647-0771! This entry was posted in Hobbies and Toys, NASA Spacecraft Models, Space Collectibles, toys and tagged 1:18 Scale, Apollo Capsule, Buzz Adrin, Collectibles, Diecast Replica, Mars Rover, NASA, NASA Collectibles, NASA Shuttle, NASA Spacecraft, space shuttle, Space shuttle replica, Sun Star, toys. Bookmark the permalink.